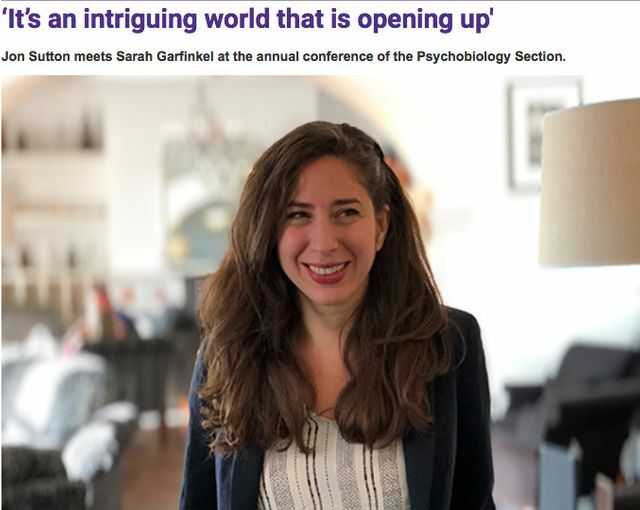 Sarah Garfinkel, a Professor in Psychiatry (Neuroscience and Imaging) at the University of Sussex, shares insights into how emerging neuroscience and the acknowledgement of how the understanding of having multiple brains, is helping people with post-traumatic stress and anxiety disorders. With training and practice, people can enhance their Interoceptive skills. Interoception is the ability of how we perceive our internal state of the body's internal sensations. With training and practice, individuals improve their accuracy of how good they are perceiving internal sensations - and we have a long way to go, as we are just starting to perceive the 400 billion bits of information we process every second but are only aware of 0.0000005% of it. Accordingly, the title of the article in 'The Psychologist' is apt . . . "It's an intriguing world that is opening up". People with anxiety might think they’re good [Interoceptive skills] without actually being good. Our new work shows that if you train people to have better accuracy, they have reduced anxiety.